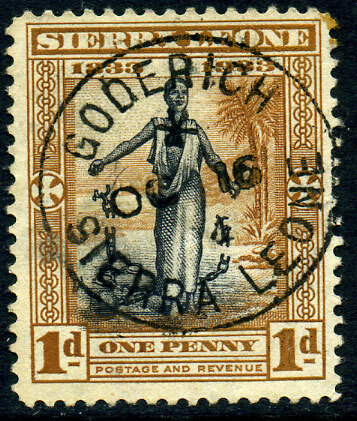 (060.01) */NO 14 34 on KGV 2d Slavery (SG.171). (158.04) */5 JA 53 on KG6 ½d (SG.188). 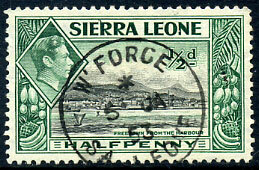 (048.02) */OC 16 34 on KGV 1d Slavery (SG.169), brown frontal marks top right corner perfs. 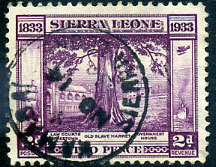 (CDS) FE 3 86 on QV 2d (SG.20), rare office. 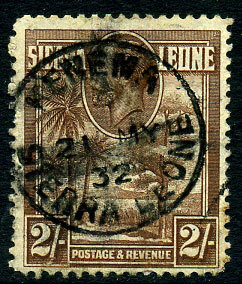 (072.03) */21 MY 32 on KGV 2/- Slavery (SG.177), village cancels exceptionally rare on this stamp.